It was a quiet end to a war many Americans wished was over long ago, but end the war in Iraq did on December 17th. Many Americans, consumed with economic issues, rising unemployment rates and let’s face it, our fair share of ridiculous media, did not realize we ended the war just before the decade mark. Now, as soldiers, some of whom have served 2-3 tours in the 2nd Iraqi War come home, what responsibility does the recruiting community have to help them get jobs? Particularly when there aren’t that many jobs to come home to? Some states are taking matters into their owns hands, lawmakers in Iowas are trying to push legislation through that will allow additional financial aid for returning troops while Texas politicians are urging big business like Boeing, Lowe’s and USAA to hire vets. It makes sense, the unemployment rate for veterans who had served in the military since Sept. 11, 2001, stood at 13.1 percent last month — five percentage points higher than the national average for civilians, figures from the Bureau of Labor Statistics show. The US Chamber has started the “Hiring Our Heroes” Campaign to try to ease transition for soldiers coming back to civilian life. Sponsored in part by the US Chamber of Commerce, the movement goes beyond the primary need of putting soldiers back to work and also has events, education and training for spouses of military personnel. The Hiring Our Heroes program was launched in March 2011, in partnership with the Department of Labor Veterans Employment and Training Service. It has hosted 83 hiring fairs and helped more than 6,000 veterans and military spouses and 60 wounded warriors find employment, according to the website. Last Veteran’s Day, President Obama gave a speech wherein he urged American businesses to hire veterens. Will they listen? Perhaps, according to the 100,000 Jobs Mission Facebook page, companies like ATT, Cisco, JP Morgan and Delta are all part of the movement, but the number actually hired so far sits at 2,675. The number, current as of September 2011, looks rather dismal. So what’s the holdup? Monster attempts to measure the Veteran Talent Index in this November study. Lisa Rosser, a former lieutenant colonel and current HR professional, educates companies on how to attract, recruit and retain former military personnel. While several firms, including Jobs2Web, have made it part of their 2012 strategic plan to hire and train veterans, there are still businesses who can’t seem to connect, which makes little sense when you consider the dual-win for businesses in the form of tax incentives. As jobs and employment continue to be a central focus in the news, it becomes imperative that businesses are reminded about the double-incentive of staffing Veterans. Not only do they possess skills employers need, but they can receive much-needed tax breaks to help grow their company in a time of economic uncertainty. Jobvite, a recruiting technology company, is hoping to help with that. 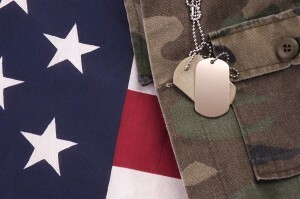 The Palo Alto based company recently launched their “Apps for Heroes”, a simple add on that allows any employer posting jobs through the Jobvite system to flag jobs that may be particularly suitable for veterans. And surprisingly, startup tech companies like Living Social are taking advantage of the service. So what can a recruiter do? Bloggers like Tim Sackett recommend pointing out the benefits that come with military training and discipline to your hiring managers. Recruiters could patronize and advocate for services that are trying to assist vets in finding new jobs, like Monster, Military.com and LinkedIn. Start training yourself to process military focused resumes differently with a tool like Military.com’s translator. Putting soldiers back to work is a year round job and not one that can begin and end on Veterans Day.